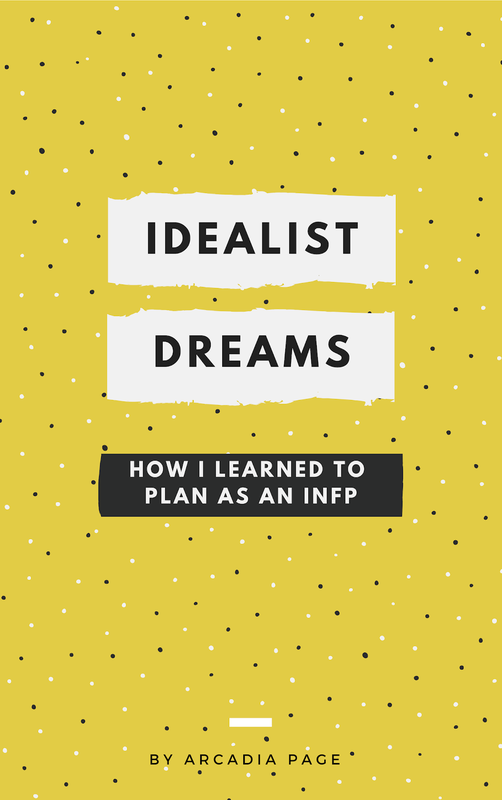 This is part two of the series How I Learned to Plan as an INFP. Although this is designed with the "INFP" point of view, intuitives, especially those who use extroverted intuition may find this helpful as well. To see the previous article with the introduction and tips for using a calendar, click here. Have you ever felt completely overwhelmed by having a to-do list? In the past I was overcome with anxiety just from looking at my to-do list. There was so much stuff on it, and I felt like it all needed to be done immediately. Nowadays, I use my monthly calendar the most. Focusing on the main events for the day allows for a lot of flexibility. When unexpected things happen, only the main events need to be rescheduled. I get more stressed out when I have a detailed schedule or a long list of what I should be doing because one little change throws off everything. However, sometimes I think of tasks that don't have a specific date but need to be done. Often these items repeat themselves over and over in my mind, causing anxiety due to the fear that I might forget about them. In order to reduce the mental load of tasks like these, I've found that it's best to write them down on a separate reminders list. 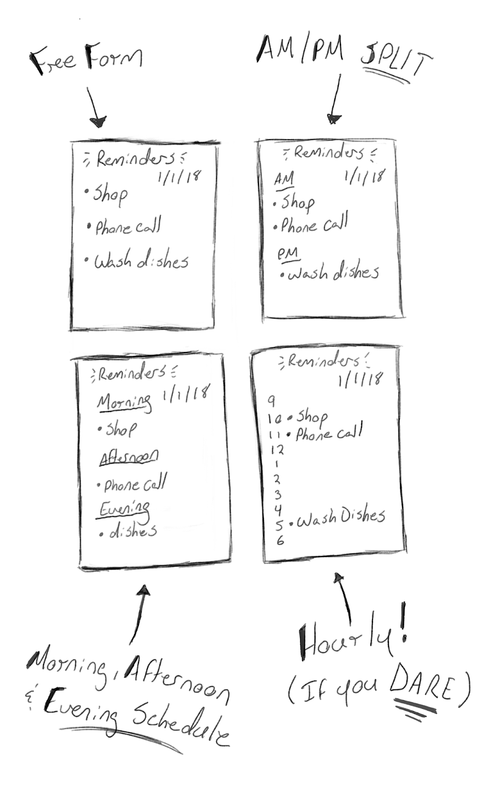 The goal of the reminders list is to keep all tasks without a specific due date in one place where they can be easily found, instead of being spread out everywhere across sticky notes and the backs of grocery receipts. A reminders list is different from a to-do list in that it exerts less pressure. Way less. Since a reminders list contains tasks that don't have a specific time to be done, they can be taken on at my natural pace. Tasks that need to be done by a specific time go on the calendar, not the reminders list. A white board. I like keeping a white board on the refrigerator. When we run out of household items, I can write them on the board. Then when I have to go shopping, making a list is as simple as taking a picture of it. Note taking app. This is good for tasks that come mind while on the go. In the past I’ve enjoyed using note-taking apps with widgets so that I can take notes quickly. I also like note taking apps where notes can be pinned to the notifications bar. This is the digital version of keeping important tasks in front of my face, like I do with the white board. Small paper pad. When capturing with a notebook, using a super simplified version of Bullet Journaling works well. Use bullets for tasks and dashes for notes and ideas. Don’t worry about having collections and all of that fancy stuff in a tiny notebook. Simply keep a list of to-dos and ideas that come to mind (Check out Word Notebooks for an example of this in action). As a Bullet Journal user, I've found success using the “monthly tasks page” for my reminders list (For more about Bullet Journaling, check out Bulletjournal.com). I try to limit how many reminders lists I have. 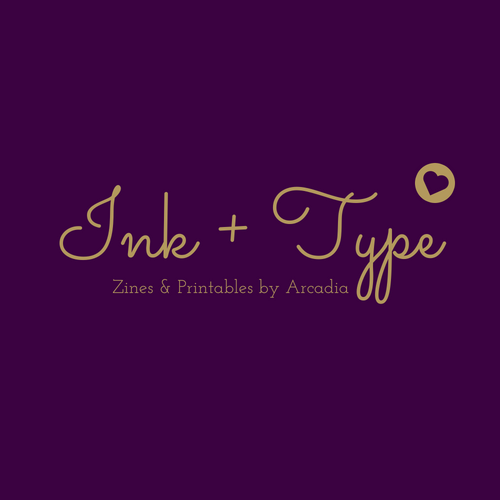 I have one for projects (novels, hobbies, etc) and another one for everything else. I keep both of those lists together in my Bullet Journal. I've already decided that if I find having multiple reminders lists overwhelming, I will cut back to having only one list again. If you would like to make a reminders list of your own, decide how you're going to make it, and then write all of the tasks that have been on repeat in your mind or that you don't want to forget. If you find that some of those items have due dates, copy them to the calendar. Do my tasks get me closer to where I want to be in life? Do items on my list help others? Is this task something that I need to do (Like grocery shopping)? If you have items on your list that are not meaningful, necessary, or help anyone else, you may want to reconsider why it’s on your list. If any of the items on your list have became time sensitive since the last moment you wrote them, write them on your calendar and put a notation (such as an arrow) next to those items on your list to show that you've moved them. Usually having the calendar and reminders list enough. Persistent tasks without a due date go to the reminders list, and tasks that need to be done soon or have a specific date go to the calendar. Normally, the calendar holds enough information to see what you need to do for the day. When I stick to this, I find that I have moments during the day where there is nothing planned. So what options are there for the free time? Something to keep in mind is that as INFPs, what we value is our main motivation. Just the feeling of “getting things done” is not good enough. What we do needs to hinge on our inner values and intentions. Mundane tasks need to either be tied to something valuable or completed with as little effort as possible. Another thing is that since we're introverted, we go deep into our tasks instead of wide. Having a long list of tasks for the day is for extroverted thinkers. Introverted feelers need only a few tasks to focus on at a time. Having too many tasks can lead to overwhelm. So with your free time, you could just do whatever you want! If that's too much freedom, one option is to pull out your reminders list and see what tasks you can take care of during your free moments. Another alternative is to take note of how you're feeling, how much time you have available, and work with along it. Check out my blog post here for more information on that approach. Check your reminders list and calendar to see what you need or would like to do for the day. On a separate piece of paper, white board or whatever you're keeping your tasks on, write the day's date at the top. List your events and two or three tasks. Do what you can from the list. Then go back to your list and add one or two more items and see how many of those you can do. The important thing is to add a few tasks to the list at a time, instead of trying to list everything at the start. Adding items a little at a time allows you to learn how many tasks you can handle. For me, four or five tasks seems to be my limit. Learn how much you can take and then do less than that. If you need a better view of how your tasks fit into your day, divide your daily tasks list into Morning, Afternoon, Evening, or by hours if you dare, before adding the tasks for the day to it. But really, try to forgo the strict daily to-do list and schedule if possible. Try to create a general sketch of how you want your day to be, not a rigid plan. 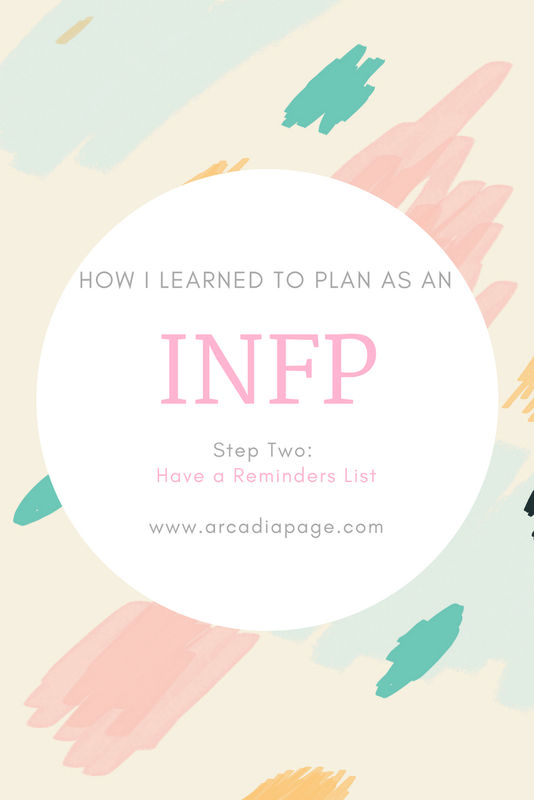 People who plan by using a calendar tend to be more effective and strict schedules cramp the creative style of the INFP. I've found that I only need a daily to-do list/schedule for days when I'm feeling overwhelmed by thoughts of "all I have to do." When I write my schedule, that allows me to see that some things I think I HAVE to do aren't that urgent and can even be moved to another day. 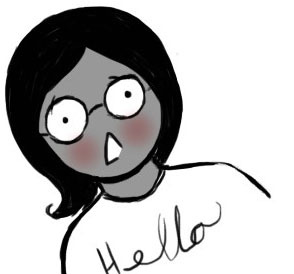 When I see that I have less to do than I thought, the overwhelm disappears. One of the main parts of the Bullet Journal is the daily spread. This is a good place to rewrite your events for the day so that they are fresh in mind. Instead of writing a full list of stuff to-do before the day starts, simply focus on the upcoming events. When you do hit a free moment in the day where you're looking for something to do, check your monthly tasks list (This is the Bujo equivalent of a reminders list), copy one task that you think you can get done to your daily list, and see how far you can get on it. Often when I look at the Bullet Journals others share on Instagram, their daily pages are full of all kinds of things besides a to-do list. There's water tracking and daily gratitude and meal plans. At first, I started out by copying this trend, but I found it discouraging because I couldn't fill out these other elements regularly. I'm doing good enough keep up with what's going on every day. To get rid of the guilt, I went back to the basics. My daily pages are simply the day’s date, events/tasks, and notes. If I want to add artwork, that’s cool, but no more written information than the bare minimum. Other things that I want to track like my mood or what I eat, I put on a separate dedicated tracking page. Once I stopped mixing trackers or gratitude journals with my daily pages, I had no more half used daily pages. Skipping a day doesn’t matter because each new entry can go under the last one. 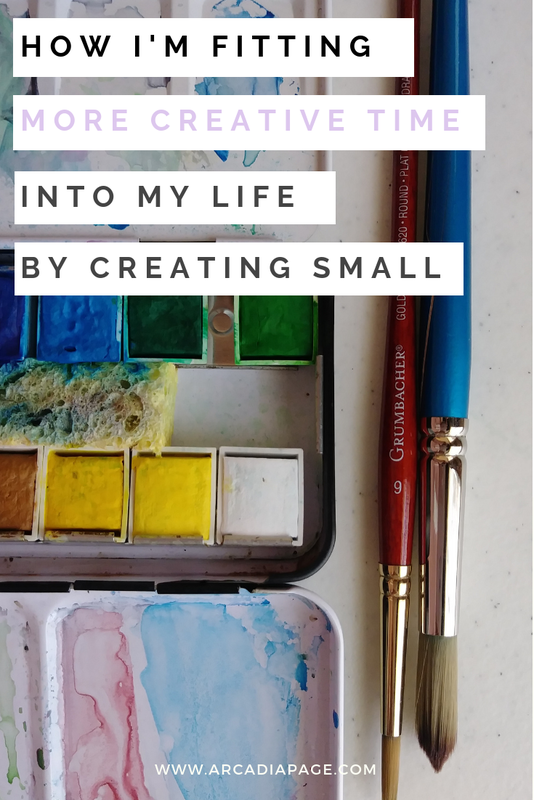 As a general rule in Bullet Journaling, when things start going wrong, go back to the basics. And being basic can be beautiful. I recommend checking out minimal.plan and the Lazy Genius Collective for some nice examples of simplicity. As you try these new methods, you may find that you move tasks between your calendar and reminders list differently from what I've outlined here. And that's okay! Just ask yourself: is the way I'm doing things working? Am I getting the results (such as more clarity on what to accomplish for the day) that I want? If you are, you're doing it right--even if it doesn't match with what has helped me.